A blog for a social transformation project has special requirements: It must deliver a well crafted integration of categories and additional metadata, show the complexity of the topic without scaring users away and feature sophisticated commenting functionalities. This succeeded for The Drop, blog of the social change project dropping knowledge. Through an integral lens The Drop featured even further abilities: It contributed to both cross-cultural and cross-meme communication. 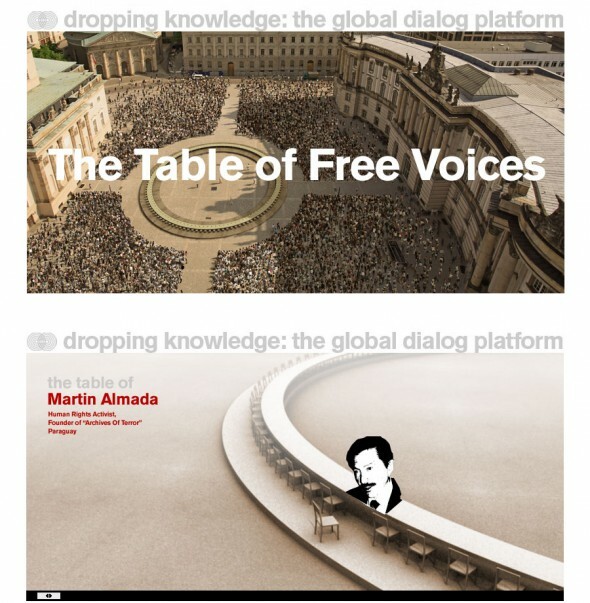 About dropping knowledge: Founded in 2003 in San Francisco dropping knowledge’s goal is to catalyze global change. 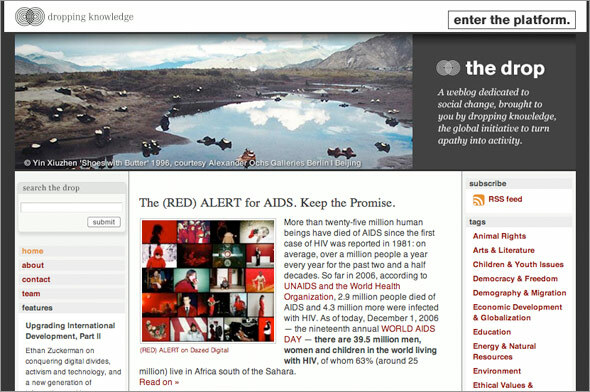 A large website facilitates communication between NGOs, activists and ambitious participants from every corner of the globe, catalysing potential action eventually. The completion of this website culminated in the Table of Free Voices in September 2006. 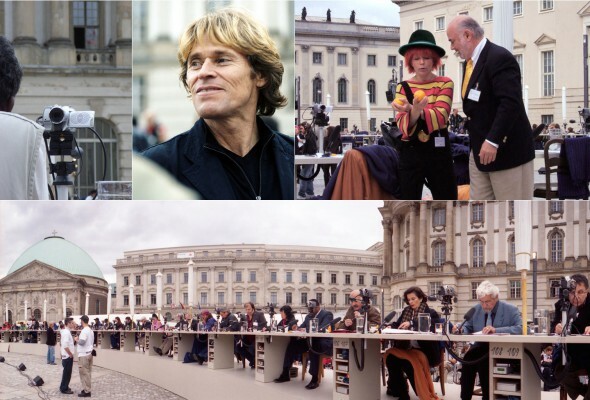 It brought 112 people from culture, politics, science, art, music and literature from all over the globe together at the Bebelplatz in Berlin. There they gave answers to a selected hundred questions of relevance to life and society on Earth. The answers were videotaped, archived and made accessible to the global public via the website. Thus more than 100 perspectives on one and the same questions was made available as well as 100 answers to global issues of one of the participants. After the event dropping knowledge in Berlin evolved into Mindpirates, »a not-for-profit ‘anti-agency’, highjacking your imagination«.